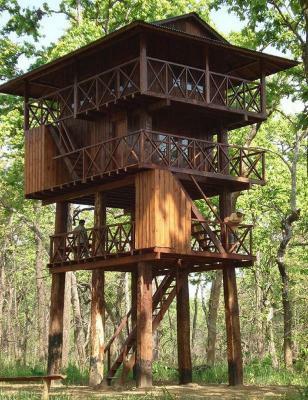 Lock in a great price for Hotel Rainforest – rated 8.1 by recent guests! The staff is great! Their excursion guide couldn't be better. He has excellent people skills, is very passionate about the natural world, has and shares a wealth of knowledge about the environment there, and his English is perfect. 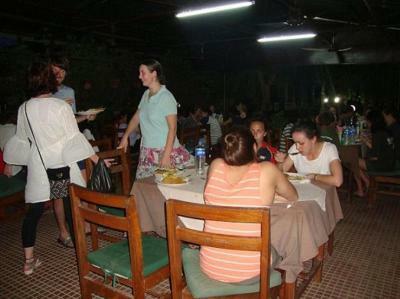 Restaurant staff also top notch, and the front desk person was always professional and polite as well. When they get their wifi and aircon situations up to speed, this will be a first-rate place. 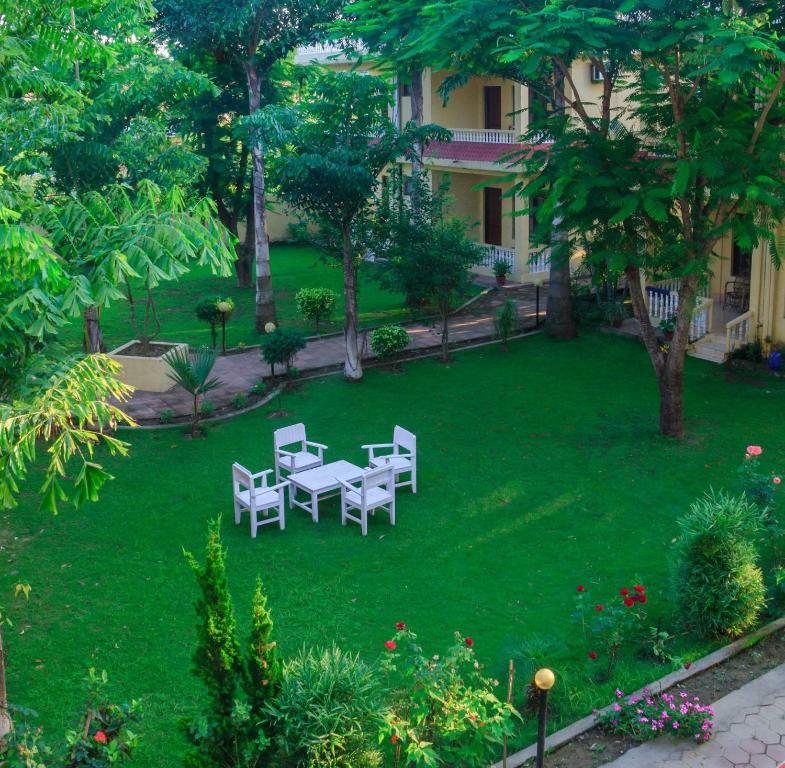 The grounds are gorgeous and well-maintained, and there's even a swimming pool. I didn't take advantage of that since there's so much to do in the area, but it's there if anyone wants it. Room is good enough. Location is good as well. Environment is nice. Breakfast wonderful. The staffs were too kind and extra helpful. 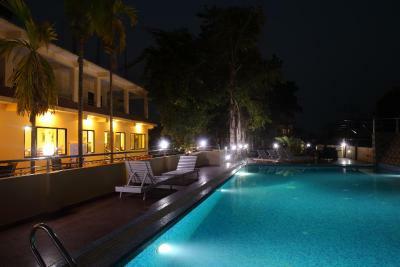 Excellent facilities and value for money. The rooms were very comfortable. 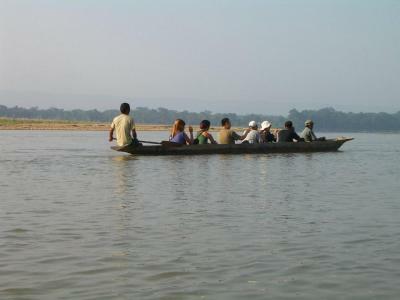 The location is good, very near to the rainforest entrance and the river. The hotel offers bus station pick up, which is good. 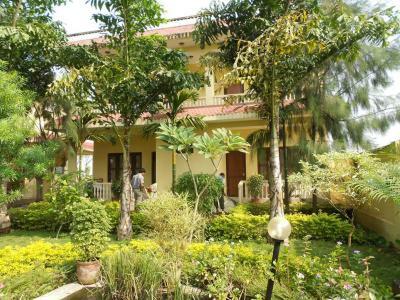 - Krishna is super helpful and always ready to help guests - hotel helped us to book all necessary tickets and tours - lovely garden and nice elephants living at the backyard - very close from bus stop, everything is nearby - not far from hotel lovely food place and amazing massage - hotel guys dropped us off to bus station when we were leaving - big thanks! Everyone was so friendly and accomodating, they gave us a welcome juice upon arrival. Large, garden areas full of well kept flowers which were gorgeous. Pool was a nice temperature and we appreciated getting large pool towels in addition to the room towels. Water was always hot and good pressure in the shower, modern bathroom compared to most we had been in before with a shower door separating it from the toilet... Every day 2 largd bottles of water appeared, sweeping, replenishing toilet paper etc. was done as needed. Not only was the included breakfast excellent but the dinner and lunch we bought were also delicious and good value. My travelling partner was very impressed that the owner and staff remembered her from the year before and made her feel like family. 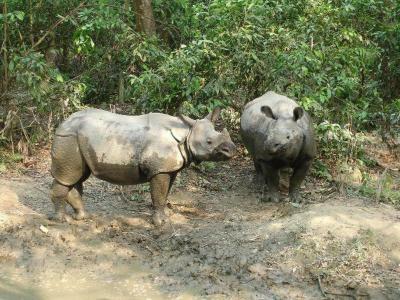 We highly recommend Rain Forest and would definitely return on another visit to Chitwan! 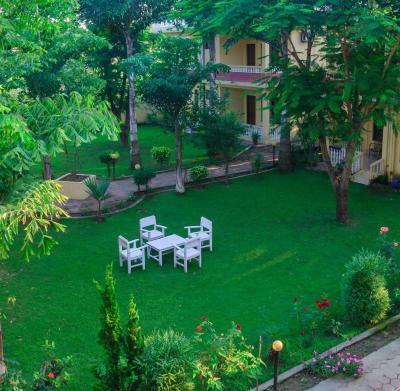 The hotel is really clean and a nice garden, the swimming pool is really fun with kids. There are elephants at the hotel and they let my kids feed them and take a bath with them which was really appreciated. The hotel is close to everything and delicious breakfast! 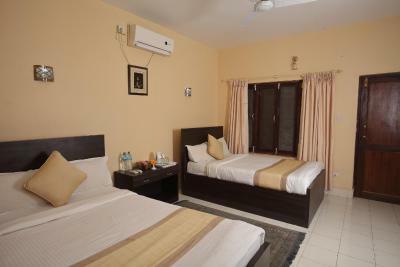 services specially by Mr. Vishnu - the take care person. Special regards and thanks to him. First want to thank all the staffs who made my stay fabulous. Service were the best.Internet speed was excellent. Delicious breakfast . Front desk was quick to arrange all the programs which helped me on the stay. 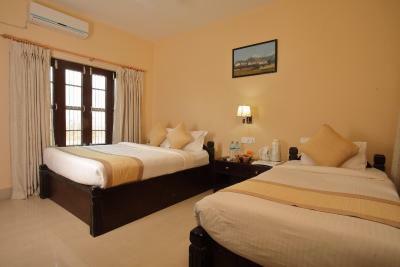 Rooms were clean and beds were very comfortable. 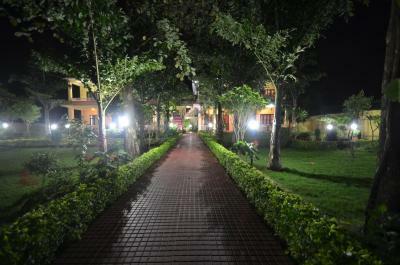 The hotel location,like the heart.Again thanks to all the guys making my trip memorable. 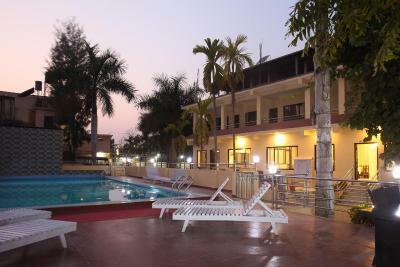 Hotel Rainforest This rating is a reflection of how the property compares to the industry standard when it comes to price, facilities and services available. It's based on a self-evaluation by the property. Use this rating to help choose your stay! 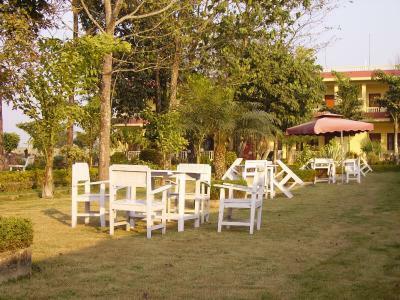 One of our top picks in Sauraha.In the village of Sauraha in Southern Nepal, Hotel Rainforest is only 1,700 feet from Royal Chitwan National Park. 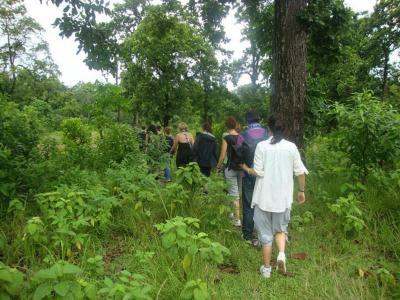 Activities include bird watching, nature walks and jungle safaris. 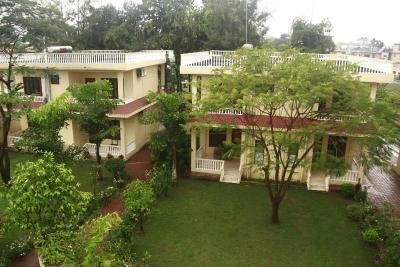 Rooms at Hotel Rainforest have private balconies featuring views of the grounds, which attracts various birds and butterflies. On clear days, the view includes the Himalayas’ largest peak. 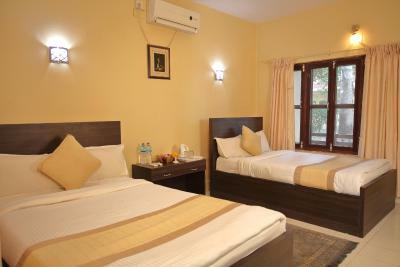 Each air conditioned room has a TV, fan and sofa. Hot water is available 24 hours a day. 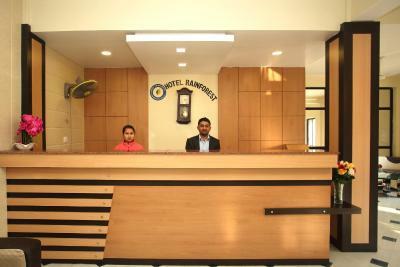 Hotel Rainforest offers a 24-hour front desk and a tour desk. 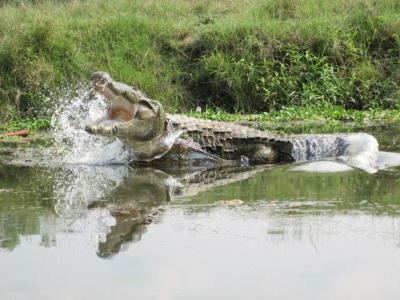 Guests can join a jungle tour to see rare animal species, or go canoeing along the Rapti River. 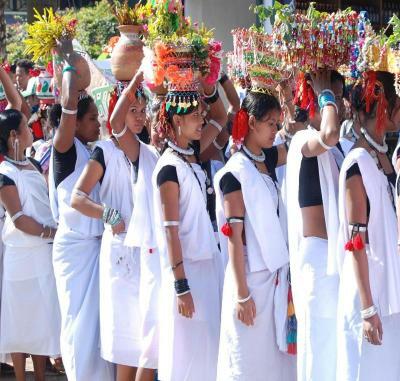 The hotel also features ethnic dances, which guests can participate in. Buffet breakfast is served at the hotel. 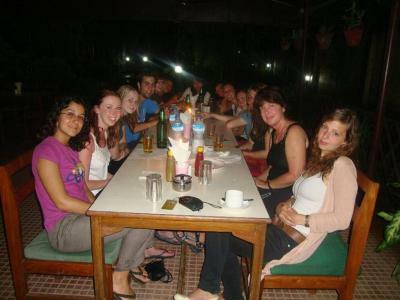 Café De La Paix offers local and international dishes. 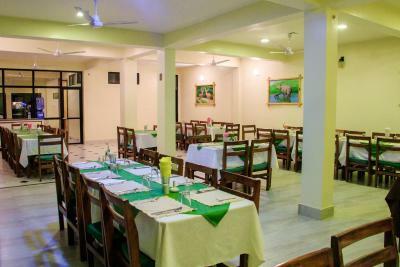 Hotel Rainforest can be reached via a 25-minute domestic flight from Kathmandu to Bharatpur, followed by a 30-minute drive from Bharatpur Airport to the hotel. 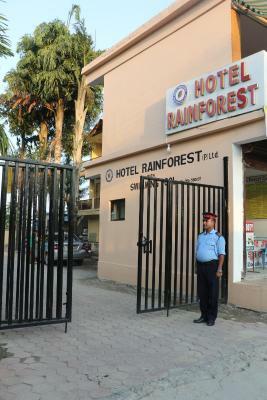 When would you like to stay at Hotel Rainforest? 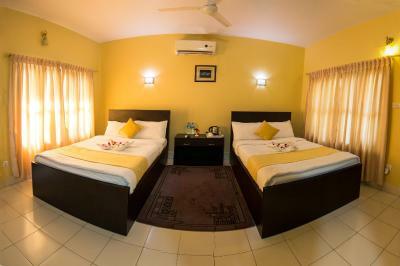 Air-conditioned room features a TV and private bathroom with a bathtub and hot/cold shower facilities. This family room features a balcony, cable TV and dining area. House Rules Hotel Rainforest takes special requests – add in the next step! Hotel Rainforest accepts these cards and reserves the right to temporarily hold an amount prior to arrival. The staff are not friendly. As soon as we arrive at the hotel, they continues offering us travel plans and recommend us to order package from them. They kept talking while we were in process of check in, which was quite annoying. We stayed for two nights and the bed sheets were not replaced (which is totally fine), however the trash were not taken away and no new bottle of water were put in our room- obviously no housekeeping!!! Ants and mosquitos were all around our room for nobody cleaning. Ewwwwww!!! Spicy food. Not much nepali type. The wifi didn't work for most of the time I was there. The owner said he'd tried four different internet providers, and is waiting for the providers from China to show up. He acknowledges the problem. The aircon wasn't strong enough as well. But the big problem was the lack of wifi. Don't use their laundry service. Bit of a rip-off. Other than wifi not always reliable in the room everything was awesome! It is rare we have had great wifi anywhere so far so we were used to it, closer to the pool it was usually better. The delay in breakfast services and the did not find much options in Breakfast. No room service available, for every little thing u have to walk miles to reach hotel reception Food cannot be ordered in room, its winter time but water wasn't that cold during bath time. The location is incorrect in the app. The wifi didn't work at all during the stay. The AC doesn't work properly in the room. No amenities was there like internet, television. Also staff behavior was not good. 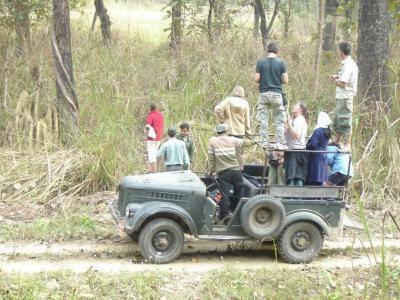 For forest jeep safari they asked a high rate for booking. We managed from outside at lower price. 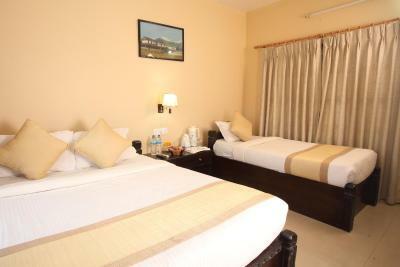 Room rent was very high with respect to all facilities. Room a/c was working properly, room was specious, bathroom was clean. They kept personal elephants at their campus which were adorable.